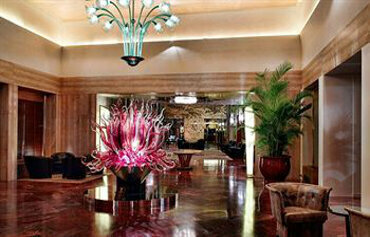 When it comes to luxury and style at the heart of Venice, the 5 star Bauer Hotel takes top billing. 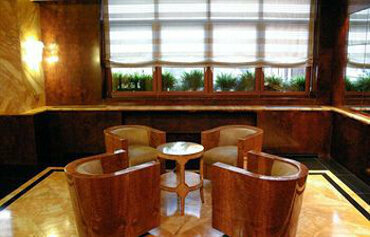 Built in the 1940s, the art deco inspired interiors create a relaxing ambience. 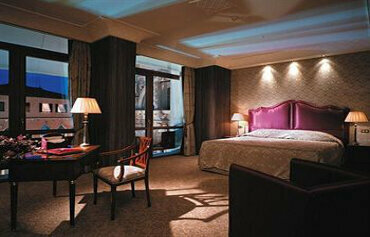 Attentive service, top class amenities and an enviable location on the Grand Canal, complete the picture. The spacious guest rooms are decorated in classical Venetian style, but with all the high tech gadgets travellers expect. When it comes to dining, you are in for a gourmet treat. Watch the gondolas float by, while you feast on Mediterranean and local specialities at the De Pisis Restaurant. Your favourite drink, snacks and tempting desserts are served in a terrace setting at the Bar Canale. Live music and colourful cocktails make the B Bar one of THE places to spend the evening in Venice. All the famous sights of Venice are within easy reach of the Bauer Hotel. St Marks Square is two blocks away, the Rialto Bridge is a little further on and you are in the heart of the main shopping district too. Discover why the 5 star Bauer Hotel is a favourite place to stay in Venice. 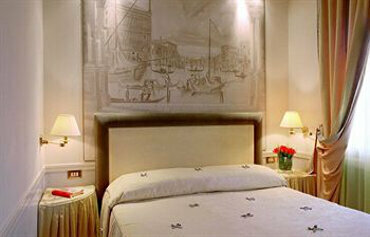 The Bauer Hotel has all the facilities you would expect of a 5 star hotel in Venice. Highlights include: a 24 hour reception, a gourmet restaurant, bar, terrace bar, wireless internet access in public areas and a gift shop. 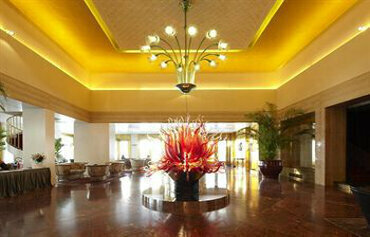 The Bauer Hotel has 97 spacious and luxurious rooms and 22 suites. 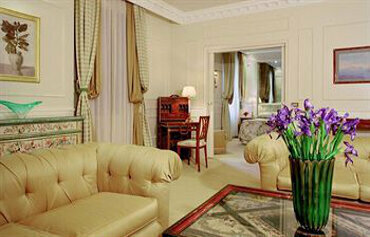 All rooms are individually decorated and furnished with a mix of contemporary and classic Venetian design. Features include an Italian marble bathroom, bathtub and handheld shower, hairdryer, closet, individually controlled airconditioning, flat screen TV with satellite channels, mini bar, international directdial telephone and WiFi Internet access. A buffet breakfast is served each morning. At the De Psis Restaurant, guests are able to dine outside with views of the Grand Canal and Church of Health. Local and Mediterranean dishes feature on the menu, accompanied by delicious wines from around the world. The Bar Canale terrace serves tasty cocktails, snacks and desserts. The BBar is a favourite with local and international celebrities and even James Bond. The Bauer Hotel is located right in the centre of Venice, only a couple of minutes walking distance from St Marks Square. The closest point to the hotel by car is Piazzale Roma. A private water taxi runs from Venice Marco Polo Airport directly to the hotel dock and takes about 40 minutes.